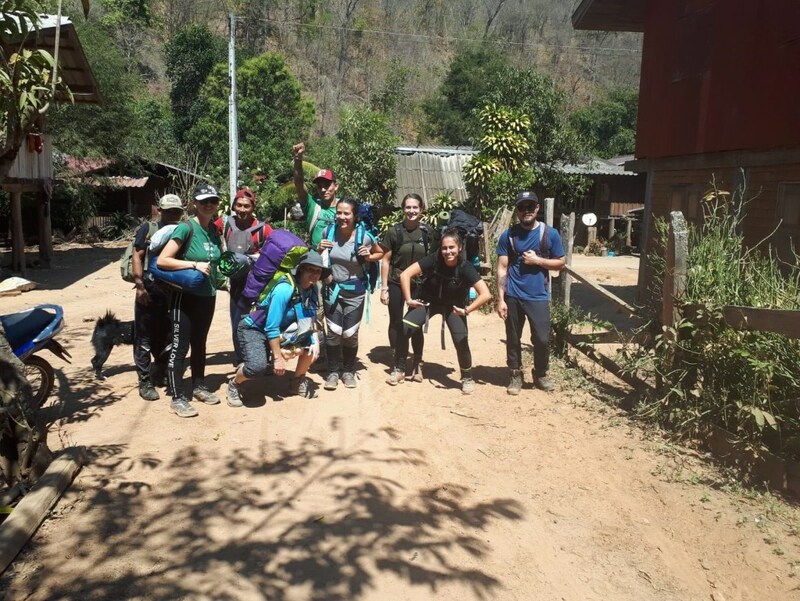 I went to volunteer with Kindred Spirit Elephant Sanctuary in a Karen Tribe village for 1 week and had such a great time. Kerri, Sombat and Talia are the staff who you will spend the most time with and they are around 24/7 to help or answer any questions you have. It is like having a little family that you are welcomed into as we eat together sharing different food, hike together at the pace of the slowest person and hang out at base together doing activities in the evenings. The elephants are magnificent! They are gentle giants with the mental capability of being the genius’ of the animal kingdom. Everyday I got to assist carrying out data on the elephants and fed them bananas; some are more playful with humans than others and most days we got lots of interaction and camera footage. They are so intelligent and fun loving but you do need to remember they are semi captive animals who are exhibiting wild behaviours and need to time to roam and forage alone as is natural for them. The elephants have their own personal mahout (a person who oversees their journey throughout the day to keep them out of trouble and in good health). Sombat is one of the mahouts; he assists on hikes to the elephants as he can track where they are in the forest. The hikes can be physically demanding but if you have the right clothes, footwear and willpower it is easily doable every day. I came in monsoon season and found the heat was far more than I was used to at home so would advise plenty of water and sun cream if you are travelling in the dry season. 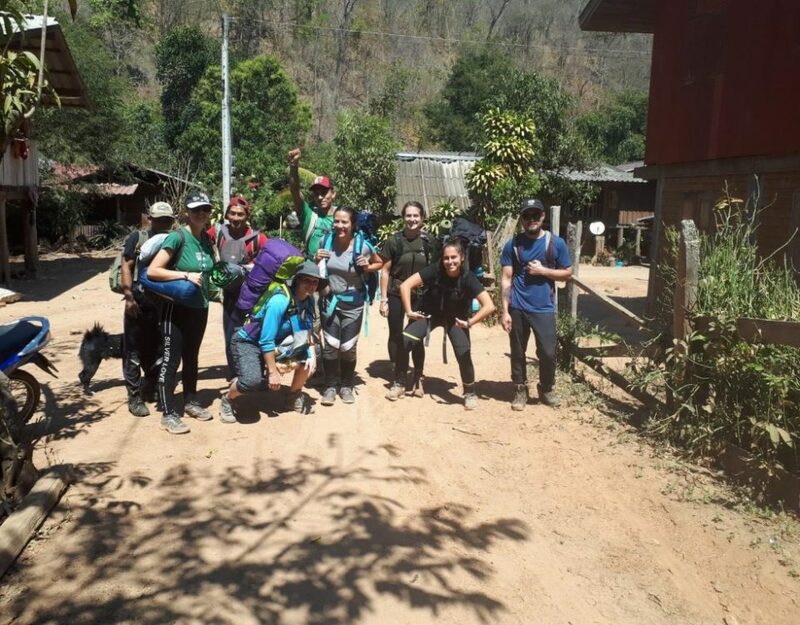 The activities in the evenings are very varied, some things you can pay extra for such as basket weaving, Thai massage, cooking classes and Muay Thai lessons. Other activities you are involved in are to improve the local community such as; gardening at base (they have a new vegetable patch), teaching English to nursery children and school children and litter picking. Kerri gives Karen/Pakinyaw lessons as this is the tribal language which is super helpful to try and communicate with your home stays. The two phrases I have used and heard constantly are Da Blue (hello, goodbye and thank you) and oh ah ah (eat more!). 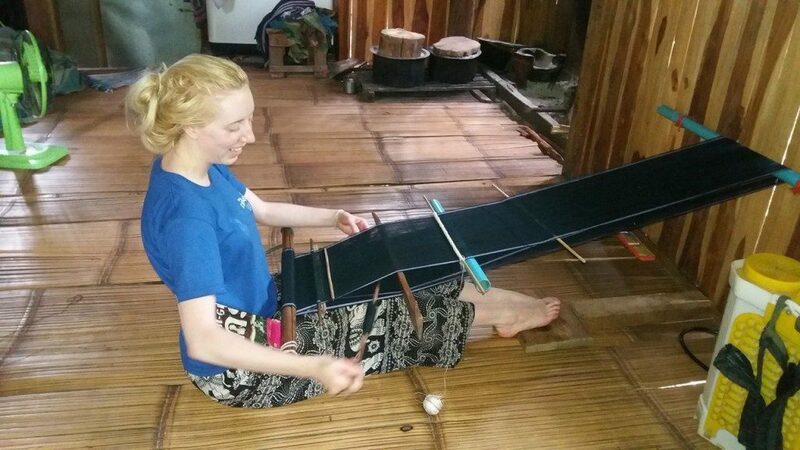 Although I have enjoyed all of the activities, my favourite has been teaching English to the Mahouts one-to-one at base. The mahouts were quite modest and do actually enjoy learning, but they just need a little prompting as they are shy. The lessons have all been really fun, me and Bow (the mahout I was teaching) spent a lot of time laughing with each other at my poor Pakinyaw and the odd word he pronounced wrong. On the whole though I was impressed at how good their English is. I have a lot of souvenirs to take home with me! I recommend buying the woven clothes and bags from the women in the village as well as making bamboo cups, spoons and wooden slingshots with the assistance from the mahouts who are all experts with a machete. If you have time, you should try the basket weaving class, it was great fun! I will never forget the unbelievable and authentic experience I have had with the Kindred Spirit Elephant Sanctuary!